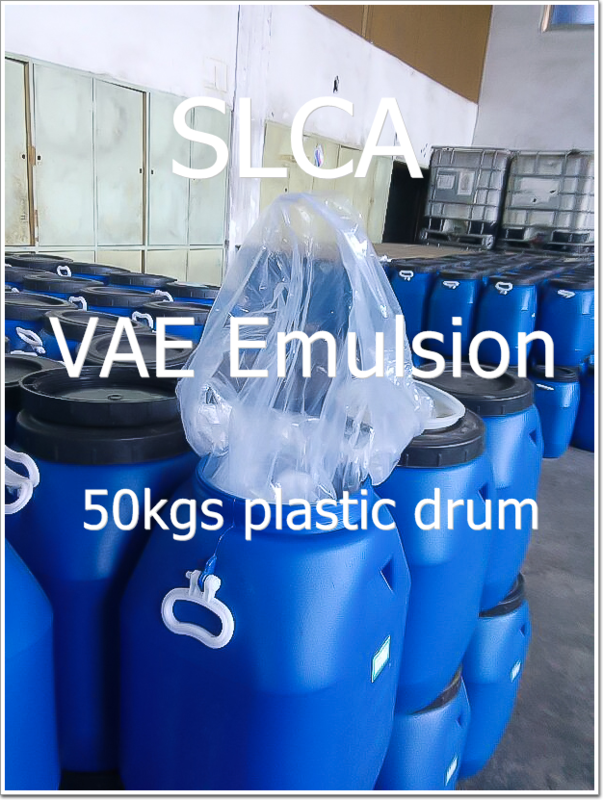 Introduction: Vinyl Acetate Ethylene Copolymer Emulsion (in short: VAE Emulsion), is a kind of copolymerization emulsion, which production method is Medium pressure emulsion polymerization. The raw materials of it are monomers, such as Vinyl acetate with strong polarity and amorphous; ethylene with non-polar and the crystals. The color of VAE Emulsion is milky white or yellowish. Normally, non-volatile polymer content is around 55%, viscosity is between 400-7000cpa.s, density is between 1.03-1.08, average particle size is between 0.2-2.0um, ie 0.8um. 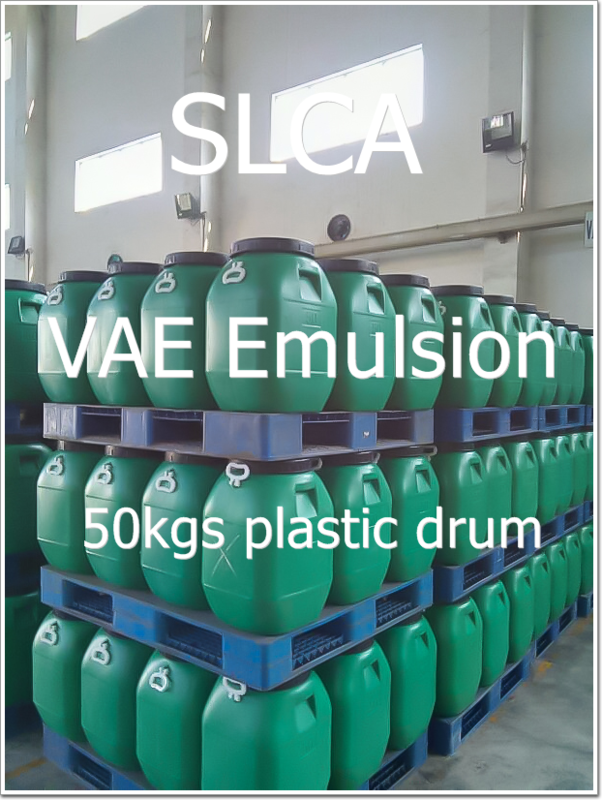 Application of VAE Emulsion are Adhesive making, water-resist Coating making, Re-dispersion VAE Powder making, non-woven cloth making, Carpet making, modified cement making, ect. the interface, caulk and cement mortar modifier. 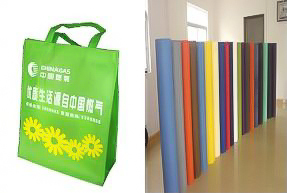 bonding, bond paper, packaging bags, paper-composite, fiber materials. 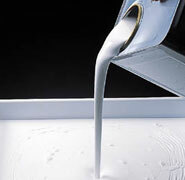 4:Chemical areas: light wood, PVC paper, ink foam carrier, wall paper and paper coating. 1. Safety & environment protection: It is a water base emulsion, which contents are not including any organic solvent or poisonous ingredients. So there’s not any possible dangerous of fire, explosion, or corrosion, ect. It has passed FDA testing, which can be used in the food packing area. 2. Easy operation: It’s very easy to be a film after adding water without heating or adding Curing agent. For modifying, it also needs to be added the curing agent, thickener or tackifier, but the operation is very simple. 3. Excellent easy mixing: most part of pigment and packing can be mixed with it averagely. It also can be mixed with dispersant, Wetting agent, antifreeze, anti-foaming agent, preservatives, Flame retardant averagely. Mixed with other resin’s water solution or organic solution to improve viscosity and consistency is also very easy for it. 4. Stability with weak Acid and weak Alkali: It can be mixed well with some other reagent and solution in the condition of Weak acid and Weak alkali, while itself remains milky stability. 5. Lower Surface tension, Easy caking: The surface tension of it is around 30mN/m, lower than water and polyvinyl acetate. Thank for the remarkable character, those adhesives made of it can easily stick the low surface energy materials such as plastic film, aluminum foil, Polyvinyl chloride (PVC), polyethylene, fibre, wood, paper, cement, ceramic. 6-1. Inner plasticizer: Due to the its’ raw materials(VAC & ethylene)’s reaction, the main chain of the molecule becomes soft, which causes the function of inner plasticizer. Unlike the outer plasticizer with low molecular weight which could move or volatile, this inner plasticizer of VAE Film is stable and permanent. 6-2. Excellent Low-temperature film-forming: Only in a certain temperature condition, Emulsion adhesive can become a transparent film. 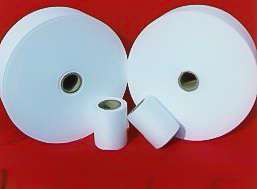 The temperature for VAE to be made to VAE film is 5℃, which is lower than Polyvinyl Acetate (VAC), so it owns a very good film-forming character. 6-3. Corrosion resistance: After film formed from VAE, it can resist the corrosion of weak acid, weak alkali, salt solution. 6-4. film water-resist: Comparing to VAC, due to existing of Hydrophobic chain of ethylene in VAE emulsion, the VAE Film has a better water-resist. 6-5. Ultraviolet (UV) resist: Due to the inner plasticizer stability, it’s un-necessary to add some outer plasticizer to make film, which could cause aging of the polymer. So VAE film is UV resist with stable quality. 6-6. Colorless transparent: The color of VAE film is colorless, transparent or half transparent, which will not effect the color of coating, neither a pollution to the surface of the bonding material. 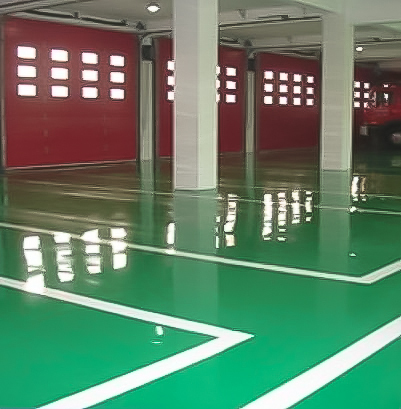 The main advantage is that it has excellent water resistance and adhension under the static load condition. It has higher viscosity compared to GW-707,with more better water resistance and adhension. Storage: VAE emulsion has to be storage indoor, keeping good ventilation. The storage temperature is between 5-37℃. When temperature lower than 0℃, products will be frozen to dough or even frozen, which is not easy to thaw. Even after thawing, dough will still be exist. If the temperature higher than 24℃, it could lead to the product surface to be thickened or even skinning. But after removing the skinning part, the product can still be used. After getting the product from drum, it needs to cover the lid tightly and immediately to avoid skinning happened. Storage time is 180days. We will offer you best price with other details of product upon receive it. We are looking forward to cooperate with YOU in the near future!